Rob's active business litigation practice focuses primarily on complex commercial disputes in the federal courts, including false and deceptive trade practice, false advertising, and consumer labeling claims, commercial fraud claims, products liability, civil RICO, breach of fiduciary duty claims, and intellectual property disputes including trademark, trade dress and copyright. 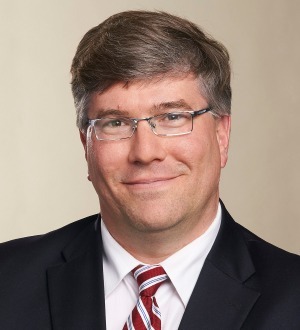 He is also one of New Hampshire's most experienced litigators on the scope and application of the New Hampshire Consumer Protection Act, NH RSA 358-A, as applied in both business against business and consumer against business cases in New Hampshire's state and federal courts. Rob is also a season appellate advocate before the New Hampshire Supreme Court. Rob also handles certain commercial real estate litigation issues, including nuisance claims, franchise disputes, and Constitutional litigation claims under 42 USC 1983, including equal protection, due process and bad faith claims brought against municipalities, boards and elected officials on behalf of developers and other commercial interests attempting to construct or expand operations. Rob chairs the firm's Land Use Litigation Group and is frequently called upon to handle contentious permitting issues before local land use boards, or to take over the litigation of these issues in the state and federal courts. Rob is an aggressive litigator who is well-versed in electronic discovery, the collection of electronically stored information (ESI), and the latest technologies available to efficiently develop and prepare a case for trial. He has successfully tried cases to juries, judges and administrative tribunals in both the state and federal systems. That said, Rob also appreciates that in many cases, skillfully mediating a dispute prior to trial can produce the optimal business outcome while simultaneously fixing risk, and he has extensive experience preparing cases for mediation and/or arbitration and bringing cases to successful conclusion in those fora. Rob brings a creative multi-disciplinary approach to his practice which has earned him the trusted position of outside general counsel to some of the region's largest privately held companies.